Richard Jenkins started his patent law practice in a windowless office in the First Union Bank building in downtown Durham. 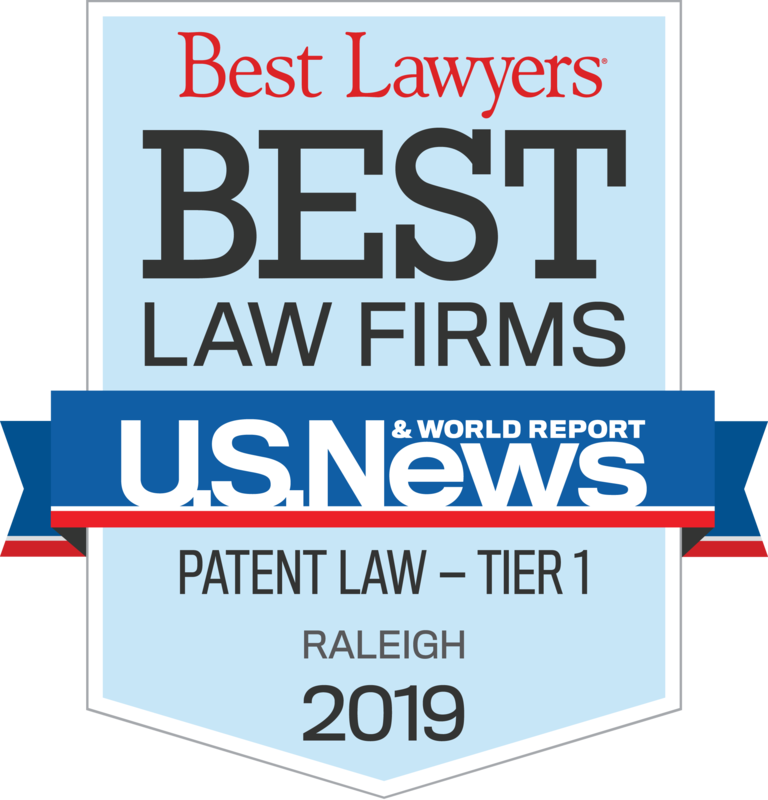 Today Jenkins, Wilson, Taylor, and Hunt is one of the largest patent boutiques in North Carolina, with fourteen patent attorneys and agents, and more than two dozen support personnel. Where did this growth come from? In large part, location. Along with a supportive, inclusive local business community. Back in 1984, patent firms in Washington and New York represented most of the local universities and large research companies in Research Triangle Park. Slowly but surely, that changed. Duke University and Sumitomo were early Durham clients for the firm, paving the way for other research universities, Syngenta, Cree, Troxler Laboratories, Tekelec, Cato Research, and Bell & Howell. The sophistication of the technology base in Durham enabled the firm to expand by attracting highly educated patent attorneys. With backgrounds in biology, biochemistry, chemistry, electrical engineering and computer science, genetics, mechanical engineering, and materials science, our attorneys continue to work closely with inventors to protect innovations in these technical fields. © 2014 - 2019 Jenkins, Wilson, Taylor & Hunt, P.A.